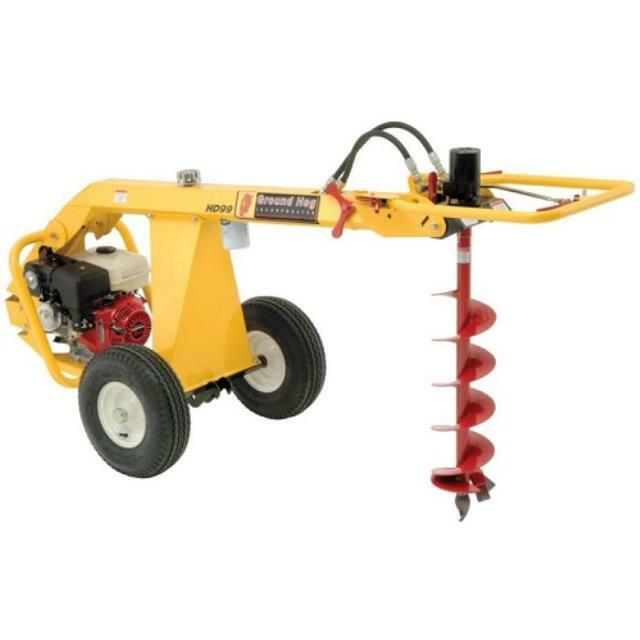 The hydraulic post hole digger is designed to take the load off of the operator by being almost perfectly balanced with an 8" auger attached, and the right angle design eliminates torque to the operator. There are also 3 handlebar positions that allow for normal drilling, as well as close up drilling next to an obstacle such as a wall or fence. This unit can be towed behind a vehicle to your job site. Available with your choice of a 4", 6", 8", 10" and 12" auger. Click here for the Groundhog HD99 operator's manual. Auger capacity: 4" to 12"